A Wire rope hoist as you may have guessed, is an electrically operated hoist that uses wire rope as its primary lifting medium, as opposed to the usual steel chain that is used. We’ve briefly touched on the benefits of wire rope below, as well as why you must never compromise on wire rope quality. While steel chains are a great lifting medium, and extremely common within the lifting industry, wire rope is a stronger alternative. This makes it the perfect solution for industries where heavier lifting is required, such as manufacturing plants or large factories. Also, a wire rope is constructed using several wires and strands, so should one part fail, it is more than likely that the rest of the wire rope will be able to hold the load steady. If one chain in the steel chain breaks, then the load will fall. This isn’t to say that steel chains aren’t safe! They are simply designed for lifting lighter loads. As we mentioned above, wire rope is traditionally used for heavier, more industrial sectors. This means heavier loads, and more danger. You simply cannot afford to be using equipment that might break or cause harm. You don’t want your wire rope ending up like this! This forms part of the government guidelines, which you can find here: Lifting Operations and Lifting Equipment Regulations 1998 (LOLER). It can be tempting to go for a cheaper option to save money, but this route doesn’t work in the long run. Good quality wire rope has a long service life, and can be with you for many years if treated properly. It’s more cost effective to purchase more expensive, better quality wire rope at first, thereby reducing your costs over time. Poor quality wire rope will be unpredictable. 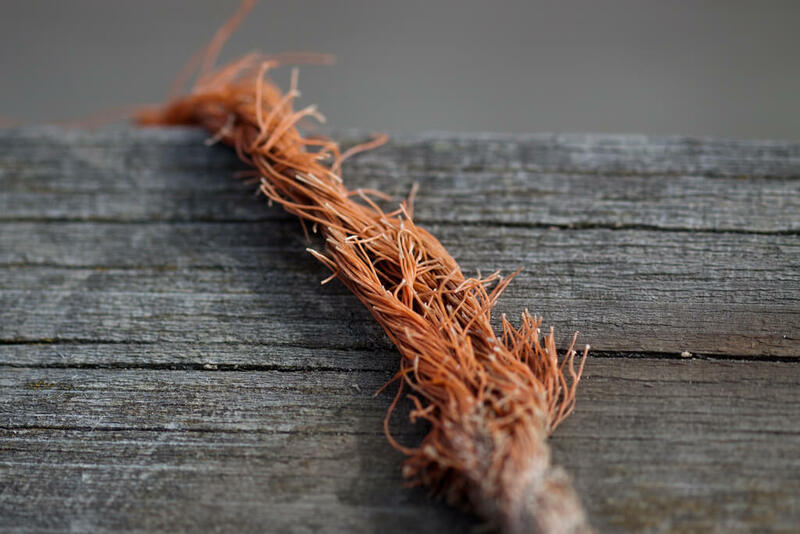 No one can say with certainty how long a piece of wire rope will last, and if you choose to go for a lesser quality piece, you can’t fully rely on its safety during a lifting operation. We sell only the highest quality of wire rope and wire rope hoists. To discuss wire rope quality further, please get in touch with one of the team here.